A week ago, the exit polls made it look like the UK electorate had instigated the worst political crisis in the UK outside wartime. By Friday, the counted votes had removed all doubt. By a majority of less than 4% across the UK, the electorate had voted to leave the EU. 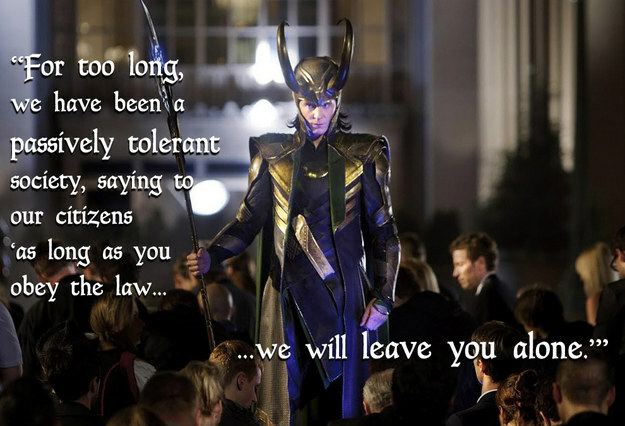 There are a lot of unpleasant realities to digest with that vote. The worst and most immediate reality: the racists who voted to Leave, because they thought they had got a promise that by voting Leave the government would make the foreigners go, now believe they’ve won. They believe, according to reports speeding in from all over the UK, that they’re now empowered to tell anyone who looks foreign, whether or not they are, to “go home”. The British word for racism is immigrant. 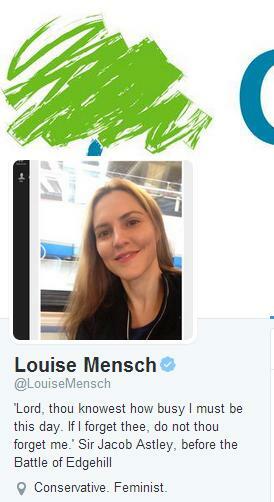 Last Friday night, Louise Mensch – former Tory MP, former novelist, currently a columnist for Rupert Murdoch (she took the trouble to praise Murdoch highly when she was an MP and the Murdochs were being investigated by Parliament for phone-hacking) – came unstuck in her hashtag-related attempt to smear Jeremy Corbyn when she confused Twitter’s autocomplete function with Google’s autocomplete function. Google’s autocomplete function, while targeted towards you based on your location and search history, gives you an idea of what other people are searching on. Twitter’s autocomplete function simply remembers your own previous searches. 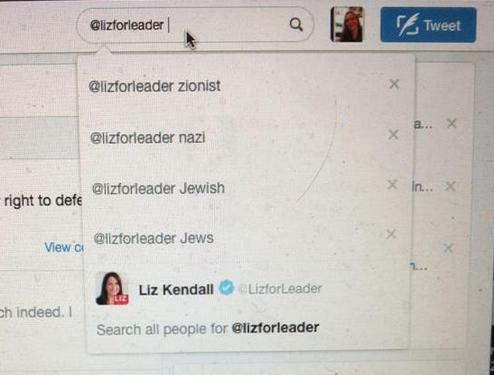 Louise Mensch had been searching Twitter for references to Liz Kendall (@LizForLeader) combined with “zionist”, “nazi”, “jewish”, “jews”. When Mensch noticed this coming up in her Twitter autocomplete, she concluded the only reason someone would be doing this kind of search was because they were an anti-Semitic supporter of Jeremy Corbyn. She therefore screenshotted this and posted it on Twitter – to have it pointed out to her that she was condemning her own search history as a “sewer”. To David Cameron and his crew of cheap-work conservatives, an extremist is a Muslim. In this video, you can hear David Cameron explain that he has no notion that either the US or the UK ever intervened violently and lawlessly in the Middle East prior to 11th September 2001. Apparently for David Cameron, history began when he became the MP for Witney on 7th June 2001: nothing important could have occurred before then. So, taking all this into account, I believe controlling immigration and bringing it down is of vital importance to the future of our country. …that we would aim to reduce net migration to the levels we saw in the 1980s and 1990s. Now we are in government, we are on track to meet that aim. 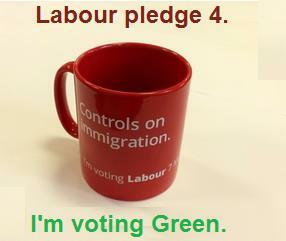 Labour think they’ll pick up votes by pledging to have more controls on immigration. The Bus Pass Elvis party is in the great British tradition of Screaming Lord Sutch. And they polled more votes than the LibDems. John Fortune died on 31st December. I probably first saw him as Major Saunders in Yes Minister in 1982: he and his partner John Bird doing their unscripted – but terribly well-researched – double-talk were always the best part of Bremmer, Bird, and Fortune. John Fortune “had the most beautiful brain of any man I’ve ever known”.